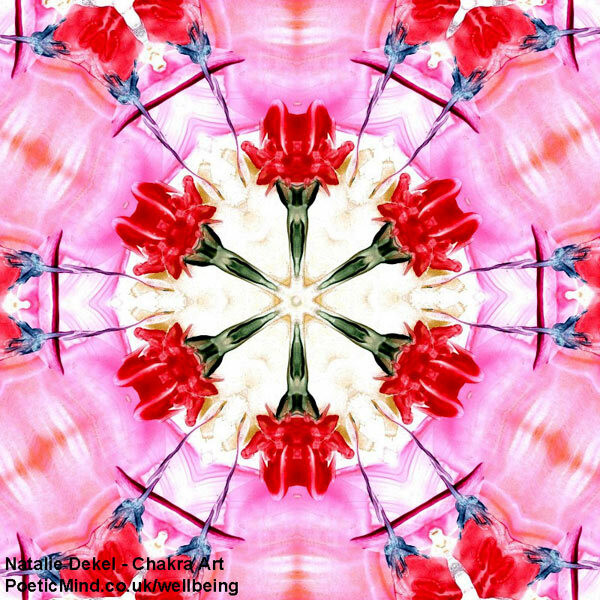 The inspiration behind these art works came from the Chakras. 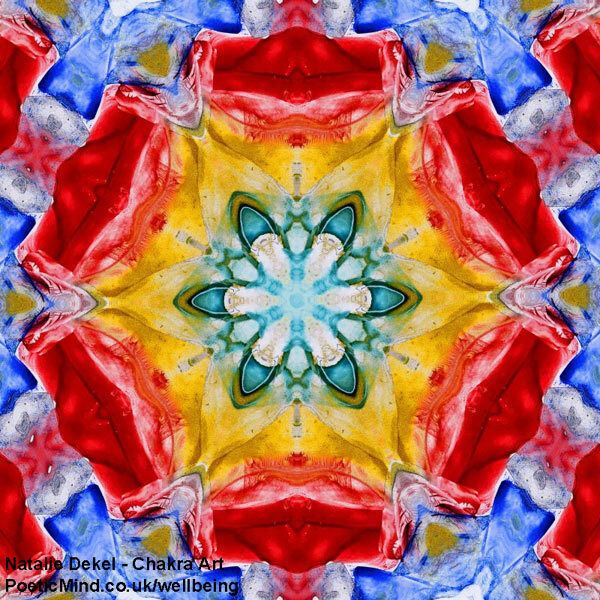 Chakras are centres in the ‎human body that regulate the flow of the Chi energy. 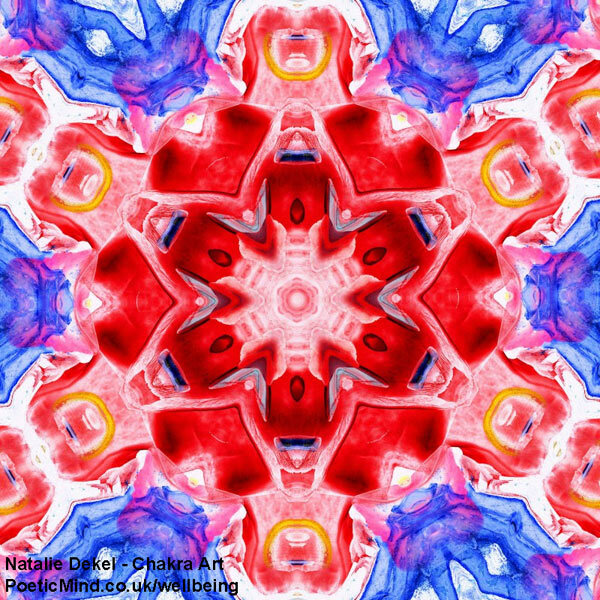 There are 7 main Chakras as well as ‎thousands more that are less known. 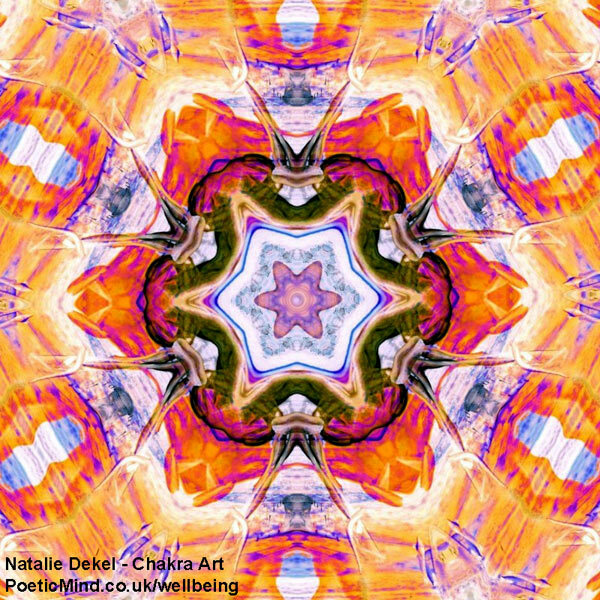 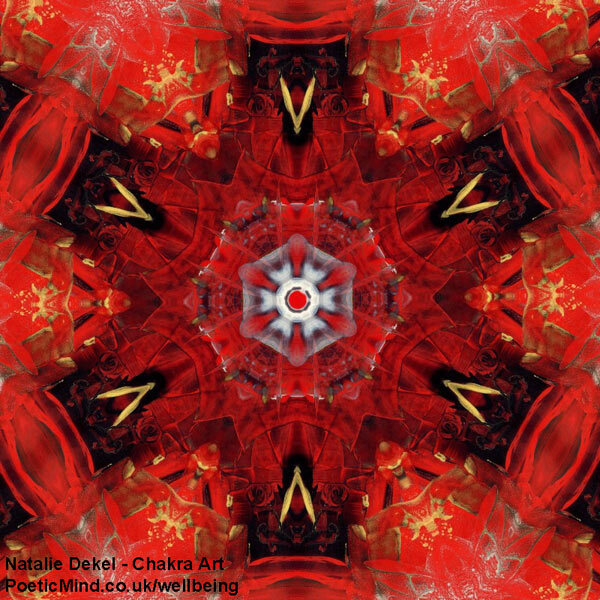 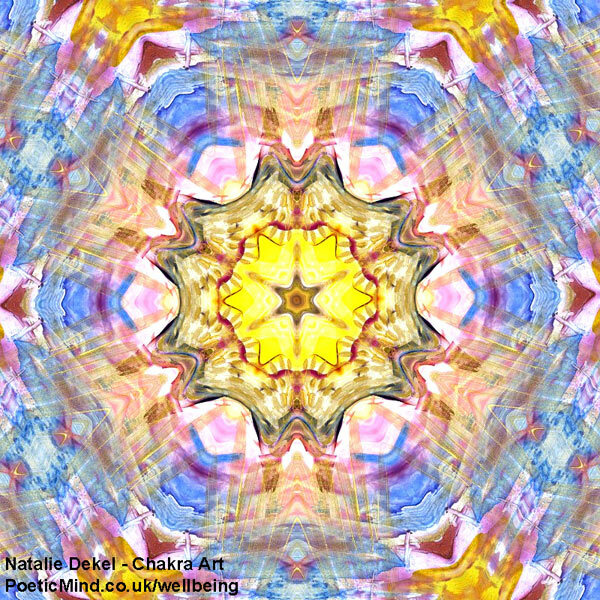 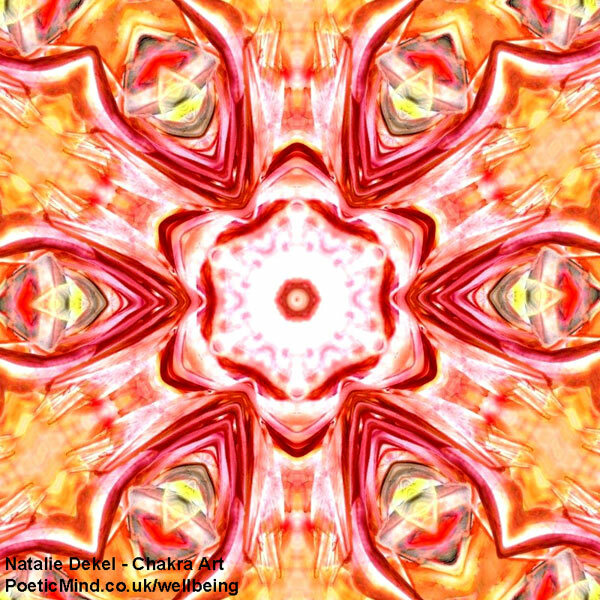 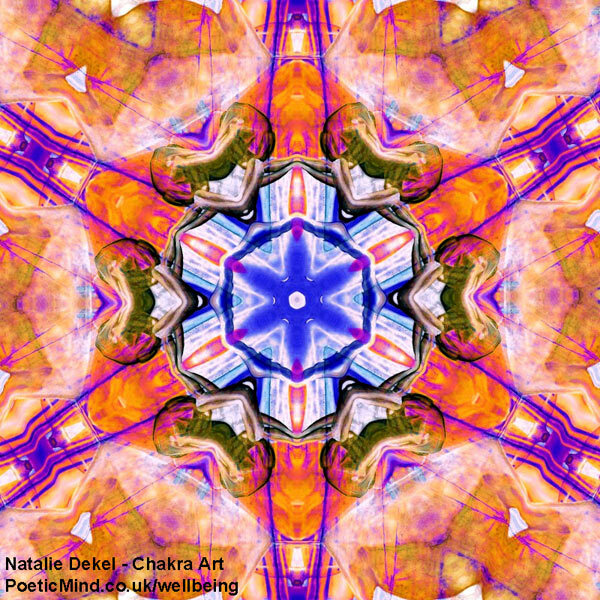 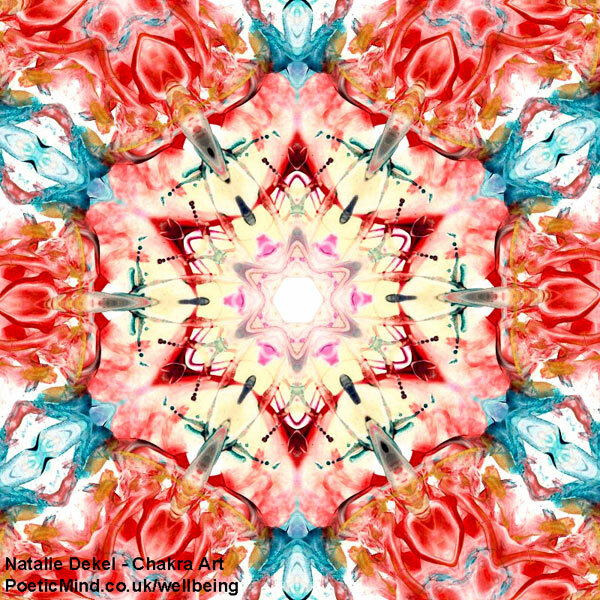 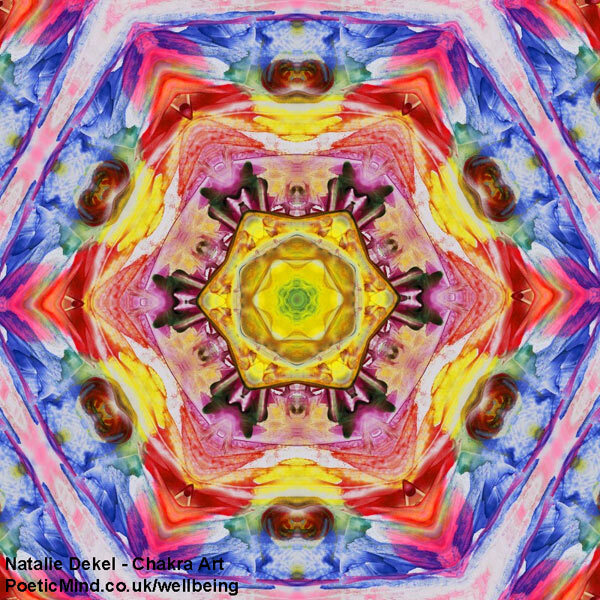 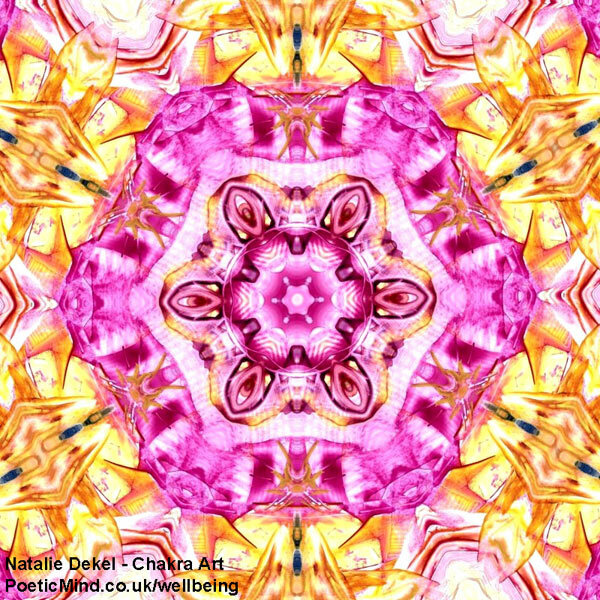 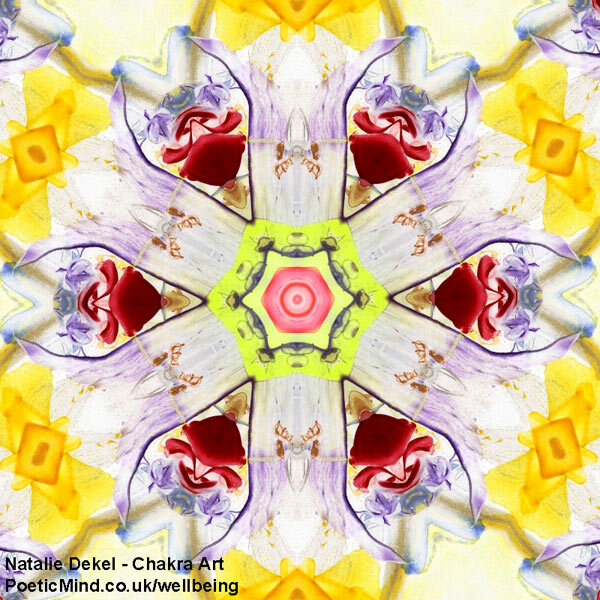 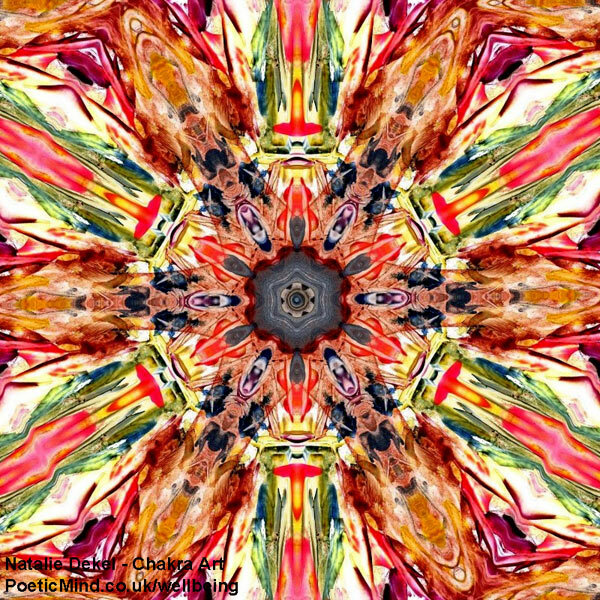 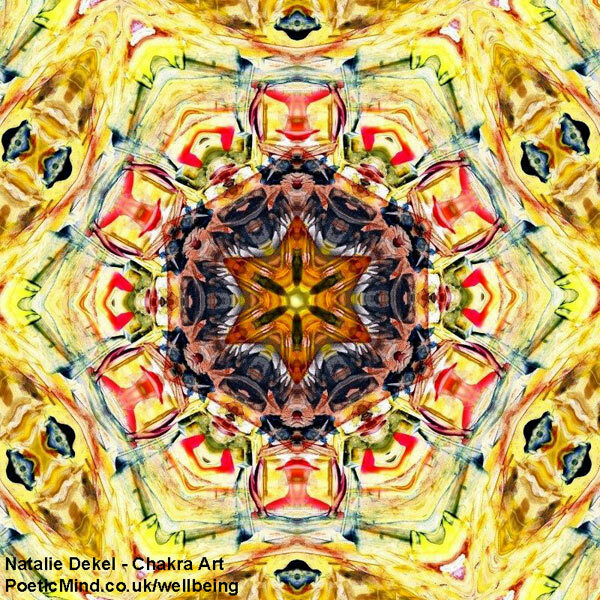 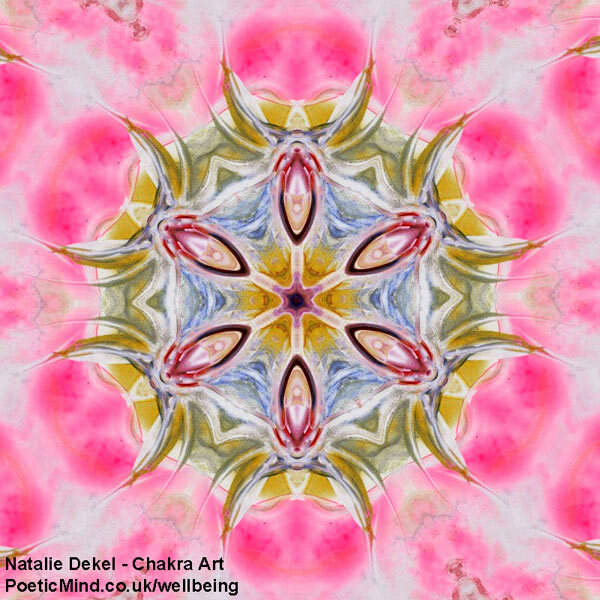 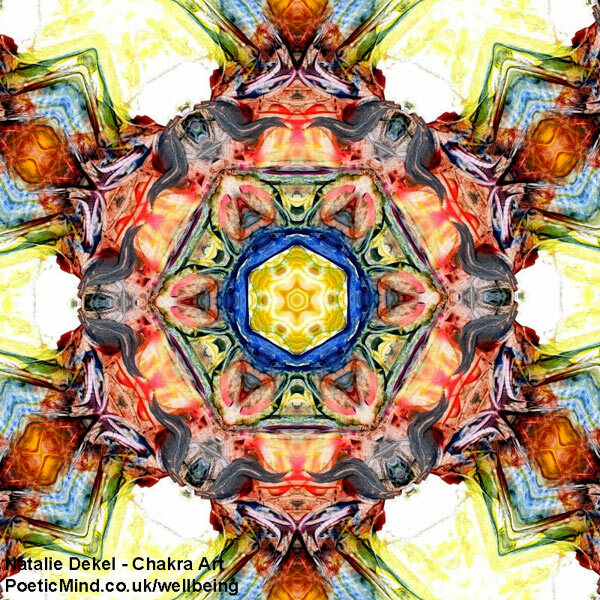 The following Chakra Art visualises the qualities, ‎colours and healing powers of the Chakras. 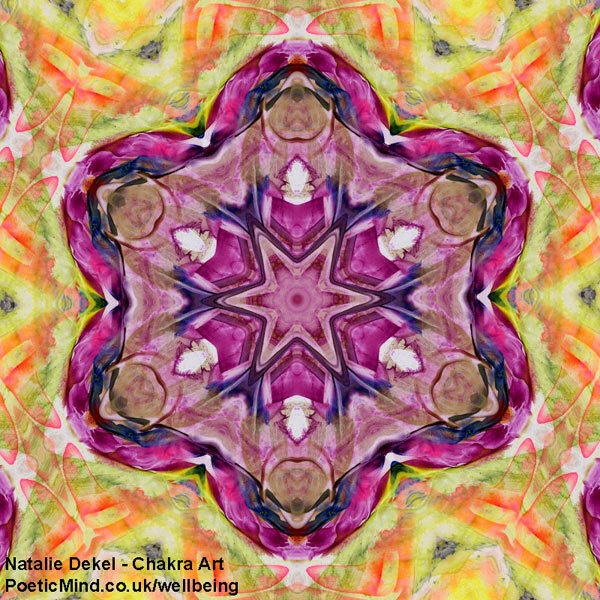 The paintings were created by Natalie in the Encaustic Wax method, where coloured wax ‎blocks are melted on a card. 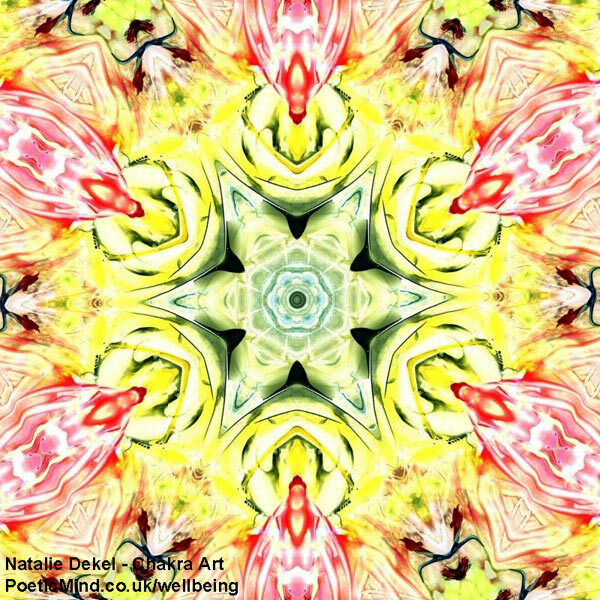 Later on, Natalie was facilitating a guided meditation on the ‎theme of Chakras, and that meditation inspired her to come up with the idea to transform ‎the Encaustic paintings into Chakra Art. 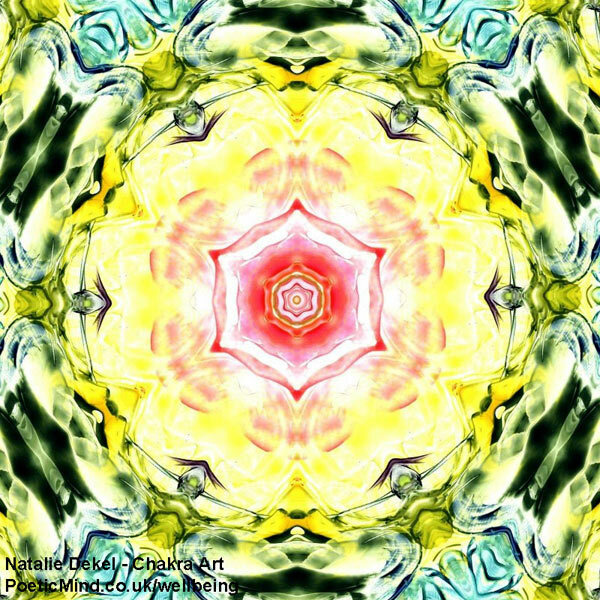 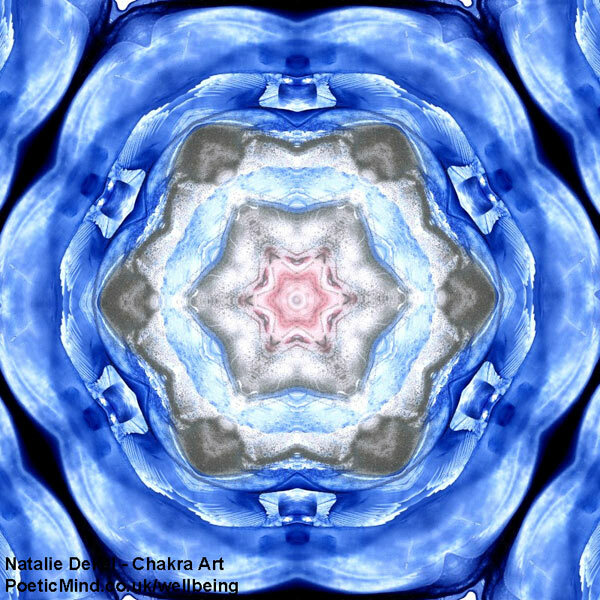 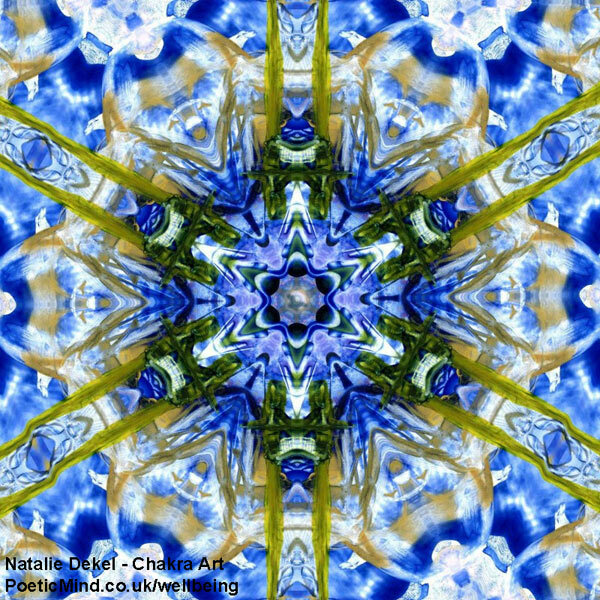 Gil then scanned the images and re-worked them on ‎the computer to create the final mandala-like effect you see here.‎ > Buy Chakra Art products here. 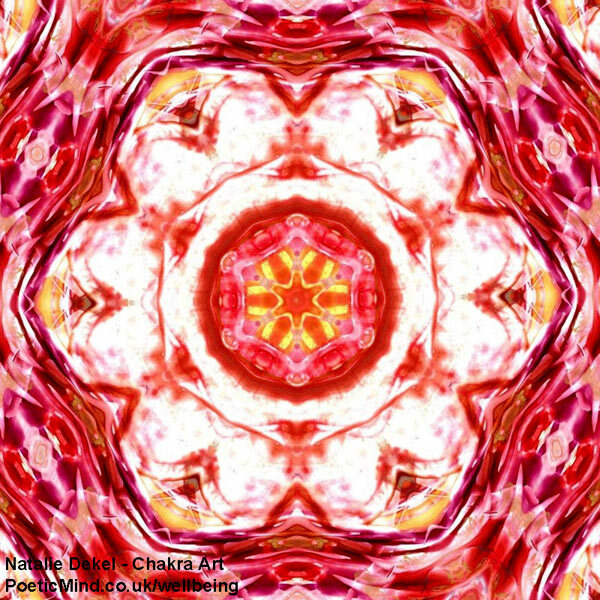 Buy Chakra Art products here. 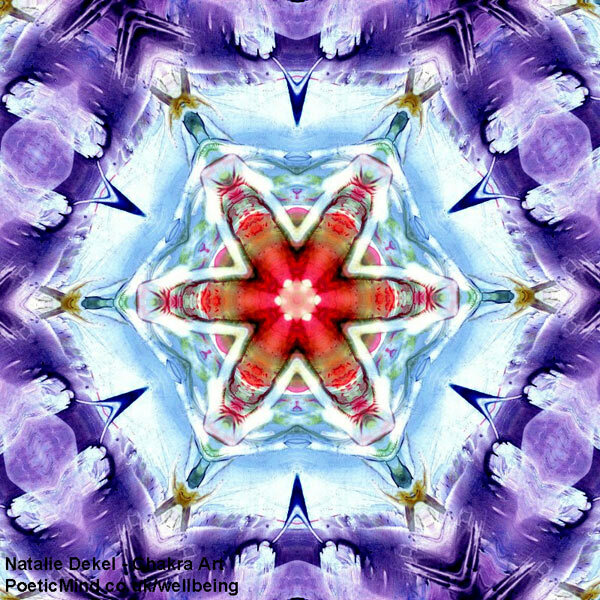 > Buy a PDF file with any one of the Chakras designs. 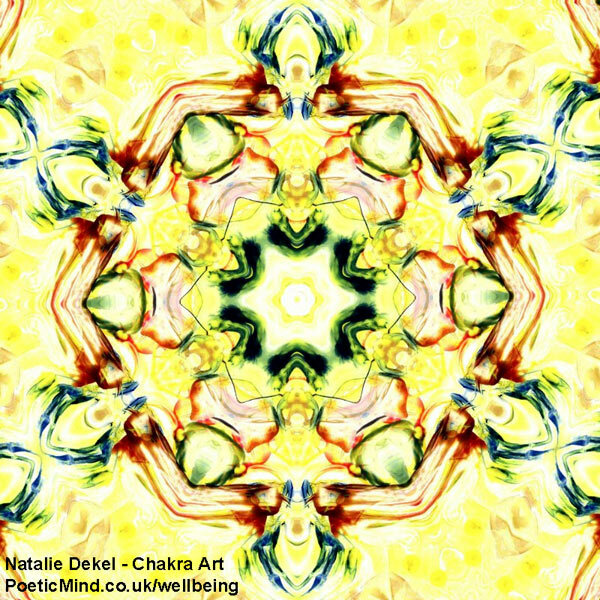 Simply click ‘buy now’ and add the number of the chakra art, for example ‘Chakra Art (#68)’ – when you pay via paypal you will have an option to add this message to us. 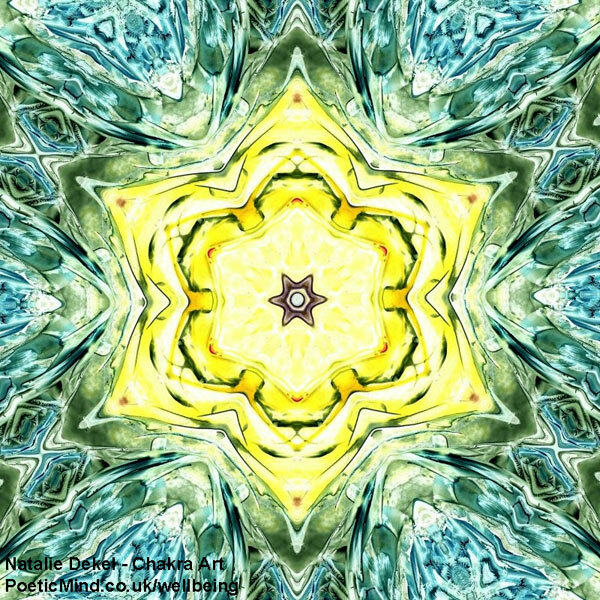 £5 per PDF. 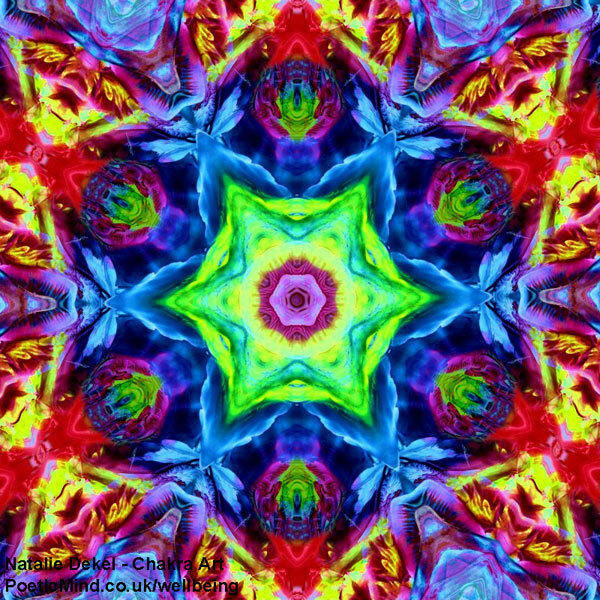 © Natalie and Gil ‎23 march 2014‎. 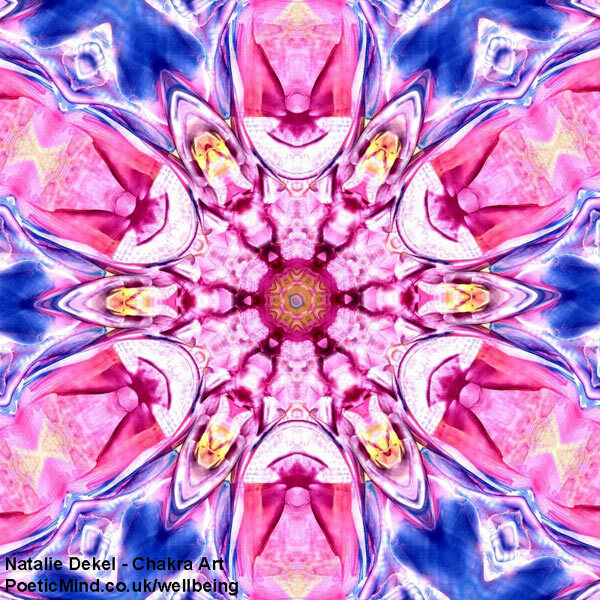 Updated 14 Jan 2019.